MORE EU NANNY STATISM: THEY CAN’T CONTROL YOU WITHOUT CONTROLLING THE FREE MARKET FIRST…….. – The Tundra Tabloids……. 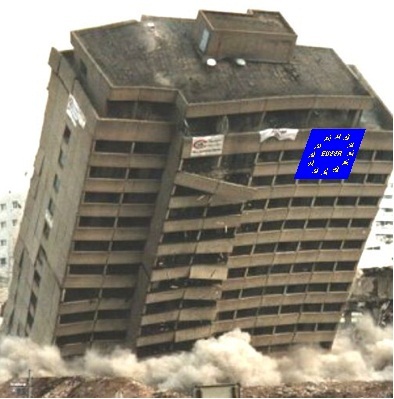 MORE EU NANNY STATISM: THEY CAN’T CONTROL YOU WITHOUT CONTROLLING THE FREE MARKET FIRST…….. They simply want to micro manage you. That’s tyranny. The EU is up to its old tricks again (actually they never cease), in determining for you what exactly you may purchase and not purchase for your home appliances. The Utopian EU masterminds will now dictate to you from on high what kind of vacuum cleaners you’re allowed to purchase. Never mind that they’ll be inferior to what you have now, they’ve deemed for you, that it’s in your own best interests to have less sucking power in your machines. This is the kind of dictatorial mentality that I rebel against. If we had this kind of political bureaucracy with a control as they have today, before the advent of the Industrial Revolution, we wouldn’t have had an industrial revolution. The people would be slaves to the ruling class, and the average person would never live to see their grandchildren. This is where they’re taking society, and all in the name of ‘knowing what our best interests lie’. NOTE: Chief example of politicians/bureaucrats picking and choosing the winners and losers in the free market. Crony capitalists (welfare capitalism) beg government for legislation that favors their business over their competition’s. This is to be rejected out of hand, it’s not free market capitalism, but cronyism of the aristocracy ruling elite of centuries ago. The EU is now in the process of taking away larger size electric appliances from consumers, saying they consume too much energy. Small appliances are enough for the citizens and they’ll just have to learn to like them. The FAZ writes that the ban was very quietly passed by Brussels some weeks ago, going unnoticed by the public. Vacuum cleaners will also carry a sticker informing the consumer of the appliance’s energy efficiency rating. The EU thinks it can save energy by forcing consumers to buy only small appliances. Whether the intrusion by the state will have an effect on overall electricity consumption remains a question. Smaller vacuum cleaners will only mean that housewives (and many husbands, of course) will have to spend twice as long vacuuming to get the house clean, and so may end up using even more electricity. This is the latest Brussels eco-justified intrusion into the free market and our private lives. To be fair, the FAZ does write that the manufacturers of vacuum cleaners have pretty much accepted the law without protest, as most cleaners are already below the 1600-watt limit. However, a couple of high-end vacuum cleaner manufacturers, such as Vorwerk, are resisting. This latest additional government encroachment into private lives is necessary, European bureaucrats believe. Citizens have to stop being wasteful and it’s past time to rescue the planet from dangerous climate change, so claim the nannies in Brussels and other European capitals. It’s all for our own good. Previous Post Previous Post MORE ‘BLACK PETE CONTROVERSY IN THE NETHERLANDS ERUPTS ONCE MORE……. Next Post Next Post KUWAIT UPHOLDS 10 YEAR SENTENCE OF MAN CONVICTED OF DEFAMING ISLAM……..
does that include those privileged “citizens” that lord it over us with such ingrained arrogance? Topher from Australia have a comment on that kind of “problems”.